Review: Hailing from Hong Kong and more commonly found recording as S.Y., this release is the first music the producer has put out as Dopamine Rider, and it's certainly a record that thrives on unpredictable rushes of chemicals to the brain, making it a perfect fit on Discos Capablanca. "$ LFO" sports a techno framework of sorts, but it's really a vessel for strange ripples of FX and one-shot tones, but then "Personal FX" ramps up the freakiness with some atonal machine whirring that sounds like it's been wrenched from an errant modular system. "John Cage Is My Homeboy" is positively delicate in comparison, but it's by no means straight laced, and "Sai Ying Pun" finishes this adventurous EP off with a strange drum track that adds a little spice to the DJ tool format. 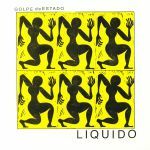 Review: "Liquido" began life as a jam between Hugo Capablanca and Oklo Gabon with sax player James Ausfahrt and percussionist Satch Hoyt in the mix. It was recorded in a sauna room above erstwhile Berlin club Stattbad, only to be rejected by a label for not being catchy enough. After 10 years languishing on a hard drive, the tune finally receives a proper airing with a remix to boot, and it's a good thing too. 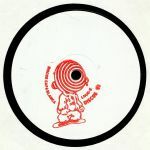 Marc Pinol did his remix back when he heard the original tune, and he brings the skronky live feel of the session to the foreground while running a bubbling rhythmic undercurrent underneath to lock in the dancers. The original is a more forthright affair with a punchy monosynth bassline and a distinctly New York no wave bent that should have the more open minded parties of today freaking out aplenty. Review: Following the excellent single-sided heater from Sharif Laffrey, Discos Capablanca is back in action once again with Odopt, previously only spotted on excellent Swedish label Born Free. The record opens up with the ominous, dramatic tones of "Belgrade", all searing synth swells and bloated drums working towards some cinematic apocalypse scenario. On the B-side, "Croque Trans Croque" has a cooler head but instead aims to unsettle with its off-key metal chimes atop a steady-ticking disco rhythm, and then "Rex Ingram" finishes the EP off with yet more surreal beatdowns that will send the party in a very interesting direction indeed.